More than 20 years ago, the psychologist Arthur Aron succeeded in making two strangers fall in love in his laboratory. Many others are now replicating his approach and finding that they too are creating a strong connection with others. The initial study conducted by Arthur Aron, involved a heterosexual man and woman entering the lab through separate doors. They were seated face to face and answered 36, increasingly personal, questions. 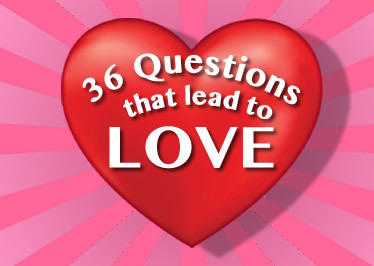 At the conclusion of the questions, they stared silently into each other’s eyes for four minutes. The outcome: Six months later, the two participants were married. Since its invention, the experiment has been used to connect people in other scenarios. including students of psychology and people with different political ideologies. This approach is sometime referred to as the ‘fast friends’ experiment. This experiment reinforces the belief that anyone can fall in love with anyone, and when two people are brought together, allowing themselves to become vulnerable, then true love can be found/created. Final Exercise: Stare intently & silently into the eyes of your partner for 4 minutes.